Summary: An orphan who lives in the walls of a train station is wrapped up in a mystery involving his late father and an automaton. Hugo is the enchanting story of “Hugo Cabret” (Asa Butterfield), a boy who lives within the walls of a train station in the early 1930s in Paris. With the death of his father (Jude Law), Hugo is left to be cared for by his alcoholic uncle “Claude” (Ray Winstone). 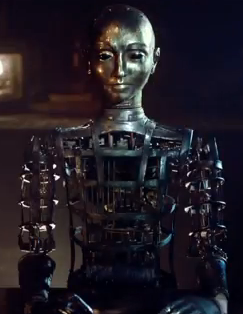 All Hugo has left from father is a wind-up automaton discarded from a museum. 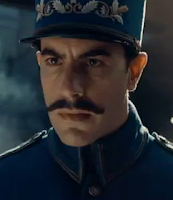 Living without school or tutoring and having to keep his whereabouts secret to avoid the humorously garnished but seriously dutiful “Inspector” (Sacha Baron Cohen), Hugo tries to rebuild the automaton while piecing together the meaning behind his father’s death and his own existence. Hugo is brought to us in well-fortified 3D, but with what is offered, it certainly wasn’t necessary. There is enough visual splendor here to go around, as Hugo graciously works its visual wonders in the likeness of Mary Poppins crossed with elements from a whole slew of Disney movies. The somber mood created by the settings and lighting builds us up, allowing audiences to reap the full benefits of a lustrously emotive and heartwarming tale. By the time we learn of the plight of our strong young lead, we are already enthralled with what can only be listed as first-class family viewing. You don’t expect it to appeal on as many levels as it does, but this isn’t just due to our two leads that happen to be so piercingly charismatic. 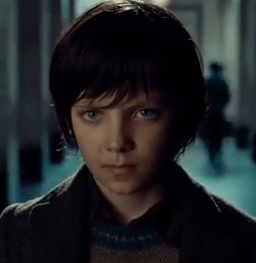 In Hugo, no one fails to play a part in a story christened with Martin Scorsese’s directorial touch. Cohen's Inspector opens up to us and immediately we recognize him as the successful comedian taking his talents in an awkward-but-still-funny direction. He reminds us a little of Inspector Clouseau in the Pink Panther, although no one is prepared for his work in such a remarkably reserved role as this one, which features an often understated humor. When the antics are otherwise for the sake of younger audiences, adults don't mind too much. 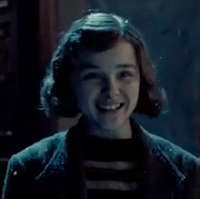 At every step, Hugo is a fine screenplay. It radiates the utmost quality from the edge of competent storytelling skills. Scorsese knows how to touch our soft spots while maintaining his usual stylistic eccentricities, and he does so in a film that can’t help but play on our sympathies and our sense of adventure while knowing when and where to pull back to keep us watching, hoping, and guessing. Hugo is nearly unstoppable as it goes after the imaginations of every kid – and with an innocence rarely equaled in film today – but there are no subclasses of viewers here. Everyone stands to have a heart-to-heart with a movie that will affect adults in the same eye-watering way it affects kids. When the final cuts have been called and a script has been flushed out to this degree, Hugo is the result—endowed with the magic that allows it to take off. This is the film to beat in 2011.